Enter freeway and continue to Highway 288 South. Exit right at Holcombe Boulevard. Continue west, turn right on Fannin Street. 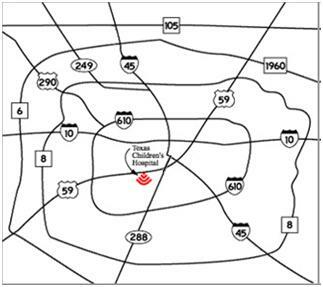 Take the first right onto Bates Street for the Clinical Care Center. Take the second right onto Bellows Drive for the Abercrombie Building and West Tower.